Historically known as “Glevum”, Gloucester was an important Roman settlement and was designated “Colonia” – the highest urban status. 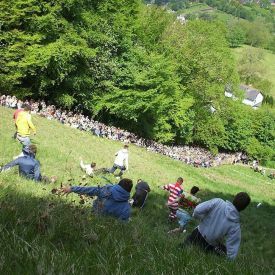 Described as “the Cathedral city of the Cotswolds”, Gloucester is rich in history, architecture, attractions and sporting excellence. 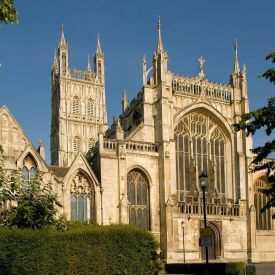 Gloucester’s awe-inspiring cathedral has its origins in an abbey founded in 681 and is the burial place of King Edward II, who was murdered at nearby Berkeley Castle. In the Middle Ages Gloucester was a centre for pilgrimage. The city has a long and prosperous history as a trading centre, inland port and spa. Gloucester Docks were opened in 1849, giving direct access by seagoing ships to Gloucester via the Severn estuary and a sea canal. This brought about the building of new corn warehouses, flour mills and timber yards. By the 1980s most commercial traffic had died away and today the city’s stunning Victorian docks are home to accommodation and ample leisure facilities, including excellent shopping and attractions. The survival of the old warehouses makes the main basin a popular location for filming period dramas. Large crowds gather for the Tall Ships Festival in Gloucester’s historic Docks, a perfect venue for the large-scale events organised there. The city’s Victorian dockland heritage is celebrated at the Gloucester Waterways Museum. Boat trips from the museum head along the Gloucester and Sharpness Canal. Gloucester has been chosen as a host city for the Rugby World Cup 2015, the third largest global sporting event. Kingsholm Stadium, home of Gloucester Rugby, will be the venue for four matches in the tournament.